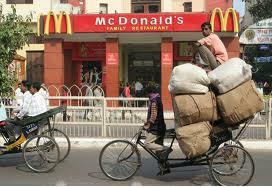 Fast foods are available in both vegetarian and non vegetarian preparations in Muzaffarnagar. Apart from the popular foreign brands like McDonalds, there are our own Indian snack corners and fast food centres in Muzaffarnagar that rule the palate of the inhabitants of the district. To enjoy energizing cup of coffee or tea one needs to visit the exclusive coffee shops in Muzaffarnagar. Some of the popular shops here are mentioned below.